Older houses always have disclaimers about lead paint, mold, and other serious problems that could affect long term health. But it is not just the older houses you have to worry about. Any house can develop the need for serious mold remediation, especially with poor construction, age, and various other factors that come into play over the years. Now mold hasn’t always been recognized as the health risk it is. But in some cases, mold can even be toxic. So mold remediation is extremely important. The first step to take is obviously prevention. Fix leaky plumbing and sinks immediately, watch for condensation and wet spots, prevent moisture due to condensation, keep heating, ventilation, and HVAC drip plans clean, flowing properly, and unobstructed. For proper mold remediation, vent your moisture generating appliances such as a washer or dryer for example while performing regular maintenance on major housing systems and drying wet spots or damp spots within 48 hours and not allowing foundations to stay wet. However, even with prevention, obviously some mold comes with a stench or rank smell. This being said, not all mold does. Sometimes, you may not have noticed a leak. But you clean it up. 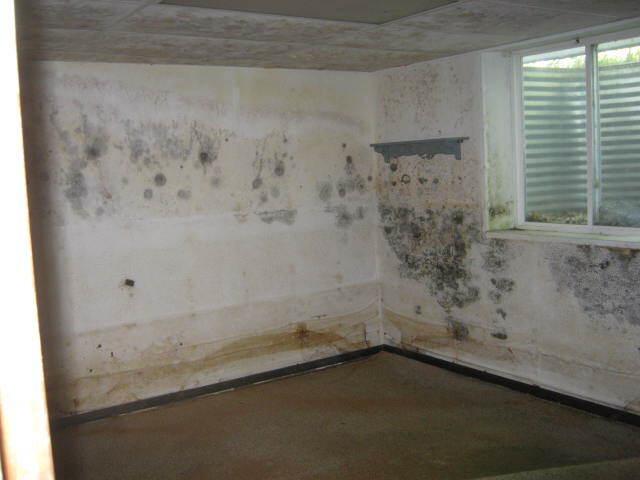 So you think you got to it on time and therefore don’t need mold remediation, because it doesn’t smell. Mold can easily be hidden, especially in walls and other structural pieces, and ultimately it does not always have a distinct smell to it. There are actually tools that can help you to regularly test the air for mold spores. So what do you do when you need mold remediation? First of all, hire a professional. Yes, we all like to be handy and in this economy save money. But a qualified professional can do the job right the first time, therefore helping you to eliminate future problems and prevent serious issues. Second, be sure to dry everything. Within 24-48 hours after a leak, you should have everything properly dried to prevent the buildup of mold in the first place. And finally, after you have repaired the leak or had it repaired, have them test for mold spores. They can get a fair idea with non invasive procedures to determine if you need mold remediation. If you have had a leak for even a short period of time, water could have built up in different areas that you did not necessarily dry, and it could cause problems. If you need mold remediation, there are various ways to do it. The proper professionals have qualified cleaning materials as well as tools that can be used to dry out areas depending on the associated damage. With most of these, as long as it is not a complete flood, you can simply move on with your day and your life, uninterrupted. At Damage Clean, we strive to provide the best services and benefits. We address mold remediation in every possible way, and we properly assess if you even need it in the first place. We pride ourselves on being honest, professional, and in doing the job right. For pricing, please contact us.